If you are like most sales professionals you are always looking for ways to overcome customer objections and close the sale. This workshop will help you plan, prepare and execute proposals and presentations that address customer concerns, reduce the number of objections you encounter and improve your batting average at closing the sale. Identify the steps you can take to build your credibility. 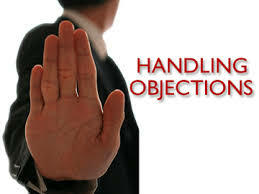 Identify those objections that you encounter most frequently. Develop appropriate responses when prospective buyers throw you a curve. Disarm objections with proven rebuttals that get the sale back on track. Recognize when a prospect is ready to buy. Be prepared to present options and be willing to negotiate. How Can Teamwork Help Me? o Why Work as a Team?